“I was called by my chief surgeon to go to a room near the Urumqi execution grounds to remove the liver and two kidneys from an executed prisoner,” Enver Tohti, an exiled Uyghur oncology surgeon, told me. “It turned out he wasn’t fully dead because they [Chinese execution squad] shot him through the right chest [intentionally] to knock him out [without killing him], so I would have time to remove his organs,” a surgery his chief surgeon demand he perform without giving the prisoner an anaesthetic. Tohti would see the man’s still beating heart as he removed his kidneys and liver. This deliberately botched execution of a Uyghur prisoner took place in 1995, and would be the first time Tohti witnessed and unwittingly participated in China’s live organ harvesting program, telling a UK newspaper in 2013 that it wasn’t years later until he realized what he had been a part of, and just how widespread and systematic the practice had become in the Uyghur Muslim majority region. Three years later, Tohti fled China after disclosing how a nuclear weapons testing facility in Xinjiang was causing a spike in cancer rates among the Uyghur, and in 1998 he helped a British media production company produce a documentary on nuclear radiation in the region titled Death of the Silk Road. Last month, Tohti told Radio Free Asiathat he believes the main customers of live Uyghur Muslim organs are wealthy Saudi transplant recipients, with China grotesquely and preposterously marketing these illegally removed body parts as “Halal organs,” despite the fact there’s no such thing in Islamic ruling or practice. When I pressed Tohti on this claim, he admitted to having no direct evidence, only unverified second-hand accounts, of China selling or marketing “halal” organs to wealthy Saudi organ recipients, and insisted it was something “best not spoken about until it could be confirmed,” but when I asked why he no longer stands by the earlier assertion he gave RFA, he pivoted to expressing fear for his mother’s safety, who remains in Xinjiang. Uyghur activists, including Arslan Hidayat, son-in-law of missing famous Uyghur Muslim comic Adil Mijit, have told me how China threatens the family members of those living abroad, specifically those who speak out publicly against its crimes in Xinjiang. Dr Faisal Shaheen, director of the Saudi Center for Organ Transplants, told Arabian Business that 410 Saudis had purchased organs in a single two-year period spanning 2012–14 from “black markets” in China, Egypt and Pakistan, while also adding that 7,000 Saudi patients are in need of kidney transplants. The European Parliament’s public health committee and human rights subcommittee says illegally harvested kidneys fetch as much as 150,000 Euros(US$165,000) each! With upwards of 2 million Uyghur Muslims held in a network of concentration camps and prisons throughout Xinjiang and the rest of China, amounting to the largest mass detention of a religious minority since the worst pogroms of the middle 20th century, the case against China’s barbaric practice of harvesting the live organs of Muslims is becoming ever more damning. In 2016, the UK Parliament heard a presentation titled “Bloody Harvest/Slaughter,” a name taken from two books by respective authors Ethan Gutmann; and David Kilgour and David Matas. 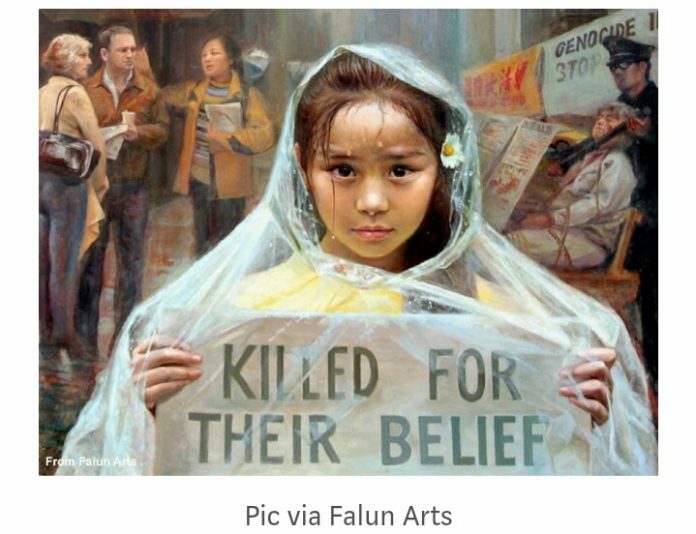 It provides credible evidence China has established a “complete industry chain” for harvesting organs of political prisoners, observing that minorities have been specifically targeted, including Uyghur Muslims, Tibetans, House Christians, and Falun Gong practitioners. The evidence against China not only forms a body of evidence, but also a “field of knowledge” in its own right, with several books published on the issue, including State Organs: Transplant Abuse in China (2012); The Slaughter: Mass Killings Organ Harvesting, and China’s Secret Solution to Its Dissident Problem(2014); Bloody Harvest (2009), The Slaughter (2014); alongside dozens of articles published in well-credentialed journals, several documentaries, and a NGO that is dedicated to bringing an end to China’s practice of harvesting live organs from political prisoners — Doctors Against Forced Organ Harvesting (DAFOH). As for claims, China is removing live organs from executed Uyghur Muslims and marketing them as “halal” and then distributing via a network to wealthy Saudi clients, we know that China has taken the biometric data of the upwards of 2 million Uyghur it holds in its concentration camps, along with those of millions of others in Xinjiang, and we also know that as many as 100,000 organ transplants are carried out each year in China, according to the authors of Bloody Harvest/Slaughter. China Southern Airline has reported more than 500 organ transportations since Tohti gave the newspaper an interview in early March, according to the Uighur Times, a claim I’ve been unable to verify, although the Chinese government owned China Dailyannounced the airline had launched a “green passage” to transport what it claims are “donated” organs. These crimes against humanity are every bit as horrific as they unimaginable, but given Uyghur activists have described to me and many others how Uyghur Muslims detained in concentration camps are being subjected to gang rapes, sterilization programs, systematic torture, forced marriage to Han Chinese citizens, forced disappearances and executions, there’s every reason to believe claims of live-organ harvesting barely scratch the surface of what is the largest cultural genocide of Muslims in modern times. C J Werleman is an independent investigative journalist . He tries to expose and end injustices against Muslims around the world.This article was first published in extranewsfeed.com. US based Hacker Syed claims BJP lost 80 seats from 91 in first phase of Indian elections! Apparently only 11 seats BJP won by changing hundreds of EVM machines outside ECI inventory. Says poll predictions and media are being manipulated by money power. Will be verified once official results are declared. Defeating fascist forces is important to stop them converting Dalits and Muslims into Ughyur Chinese.. Some RSS hate–minded surgeons while doing abdominal operations on poor and weak Muslim men, women and children; also perform cunningly without consent –permanent sterilization by vasectomy and tubectomy—so that they cannot have children and will not even know the reason. All organ donation is absolutely haraam, except blood donation and bone marrow domation! Saudi, Gulf, Jewish and western world filthy rich and cunning rulers are running this propaganda that it saves lives and so allowed/permissible/mubaah and even May be encouraged. These dirty people are using their Ulema by bribery and intimidation who are giving fatwa for national policies..
May Allah give Ulema ignorant in medical sciences good sense…to stop this fitna..